1 corn | This Blog Rules | Why go elsewhere? Unless you’ve been living on Mars for the last 50 years, you’ve most likely seen a story or two about crop circles and their possibly extra terrestrial origin. 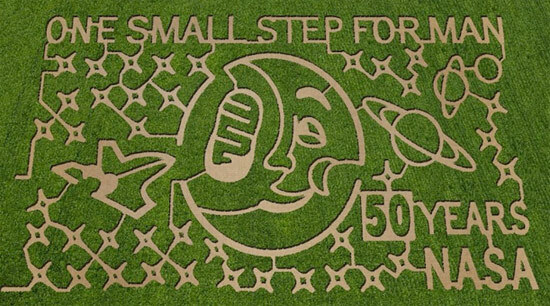 That’s how people at NASA came up with the original idea to celebrate their milestones and contributions to the world by hiring a cornfield maze design company (these days you can hire a company to do pretty much anything) called “The MAiZE” to design seven mazes that depict significant dates and achievements of NASA.